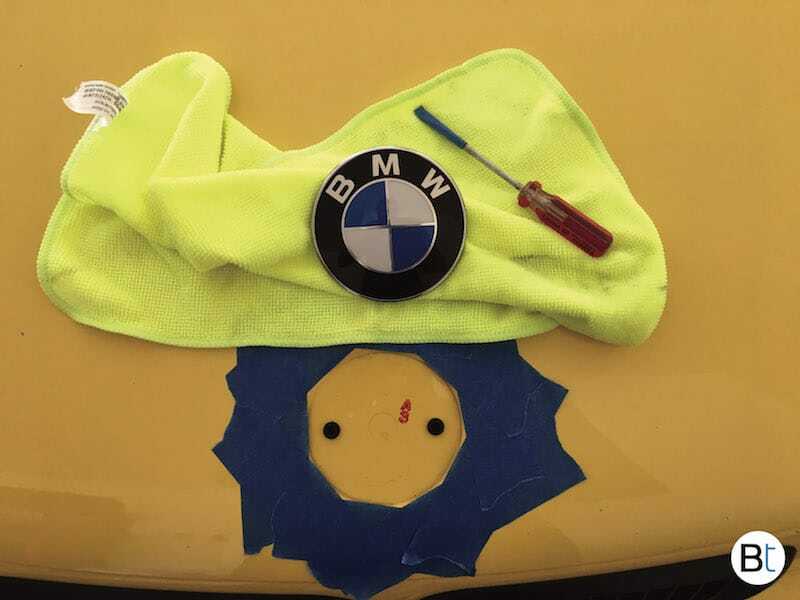 Problem: Missing, faded, cracked, weathered hood emblem / roundel. Like every plastic car part exposed to the elements, over time it will crack, fade, weather and or fall apart. 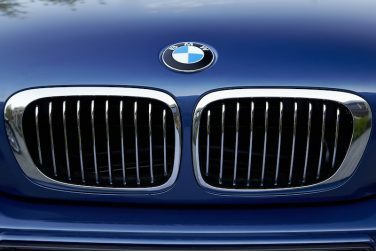 The BMW hood emblem is no exception. The most obvious sign of aging is the colors will lose vibrancy from the UV sun rays. 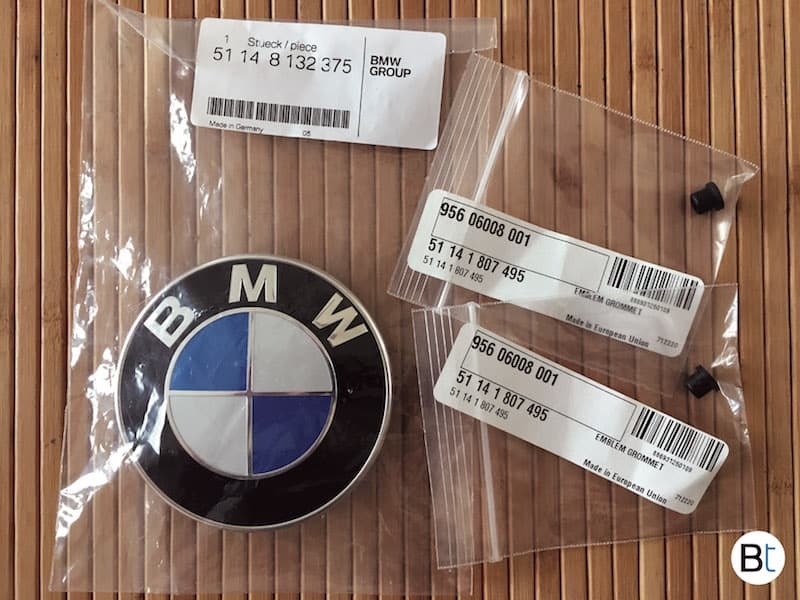 Luckily, a new BMW hood emblem is reasonably cheap for an OEM replacement. The total installation process takes 10-15 minutes. The standard hood emblem size is 82mm in diameter, however your model may vary. 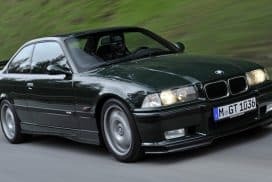 Please make sure you order the correct size, you can check your car's original part number through RealOEM.com. Worst case you can just remove the old emblem and get the original part number off the back. 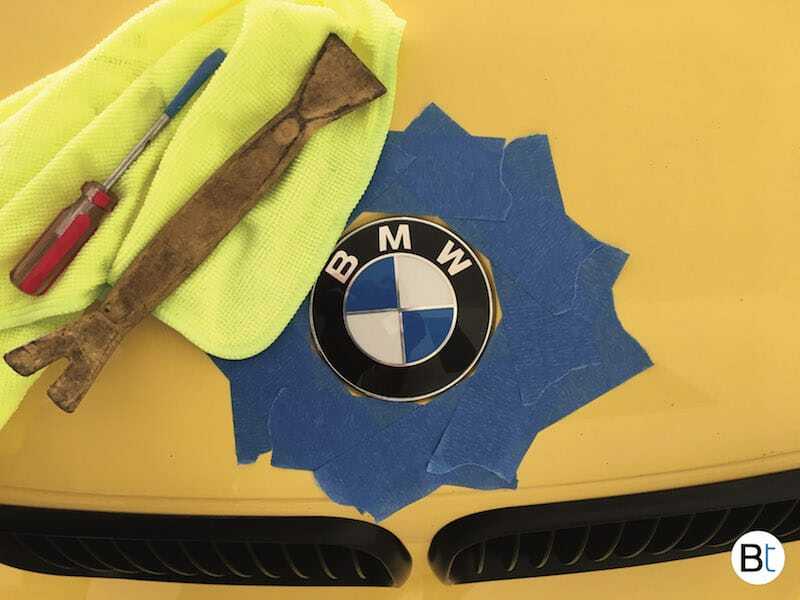 We highly recommend replacing the emblem with an original OEM BMW part. The quality is far superior to any cheap knock off emblem you can purchase on eBay. Although the cheaper price of the fake may enticing, it will age even quicker and need to be replaced quicker in the long run. Save yourself the time and do it right, get an original. 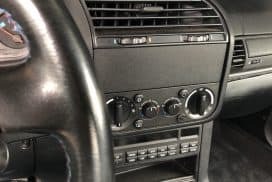 What OEM parts are needed? 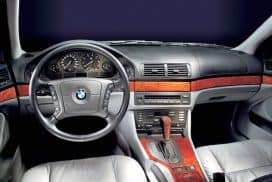 What is the cost of the BMW hood emblem? About $33 for the emblem and $1 for two grommets. About 10 - 15 minutes. Start by prying up the old emblem, work your way around the emblem until it starts to lift up evenly. Once it is lifted up high enough for you to pick up with your fingers,just grab and pull. The under side has two mounting tabs which are inserted into plastic grommets. These two grommets should be replaced along with the emblem. The grommets dry out and crack, which will make the emblem loose. 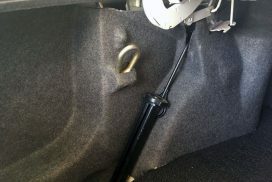 A loose hood emblem has the possibility to allow the emblem to fly off while driving. 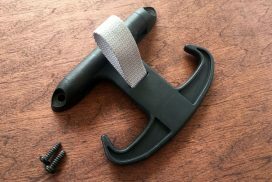 To remove the plastic grommets take a needle nose pliers and pull them out. With the hood emblem and both grommets removed now is a good time to clean the hood. It is likely dirt, sand and or salt was trapped under the old emblem from typical driving conditions. Once the hood is cleaned, begin to install the new grommets by pushing them in place. 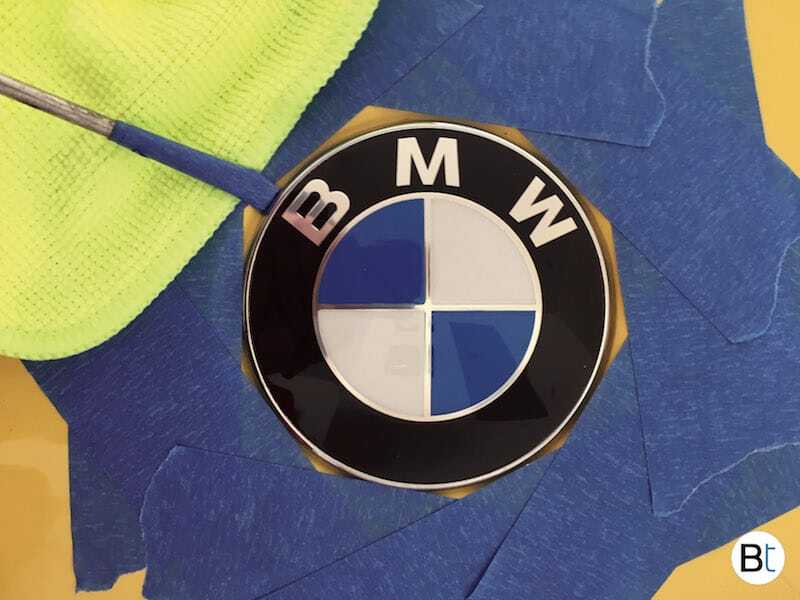 Now, take the new BMW hood emblem and align the tabs down on the new grommets. It should fit snuggly with no gaps between the emblem edges and the hood. Installation is now complete.